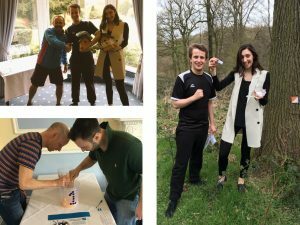 April 22nd marked the date of DataConsulting’s latest quarterly Away Day where we review how we have performed over the recent months; only this review had slightly more significance as it was the end of our financial year. Given this momentous occasion we decided to have a full ‘Away Day’ instead of our typical routine of talking business during the morning in the office followed by a fun activity away somewhere in the afternoon. This time we decided to visit a local venue for the day. We all met at Bagden Hall, a very impressive events and conference hall. Robin kicked off proceedings with an in-depth review of not only our performance for the quarter but for the year. It was great to discuss how everyone is progressing as well as focus on how we can deliver an even better service to our customers. After some detailed discussions, the Bagden Hall staff then laid on a delicious selection for lunch which fuelled us for the afternoon activity. 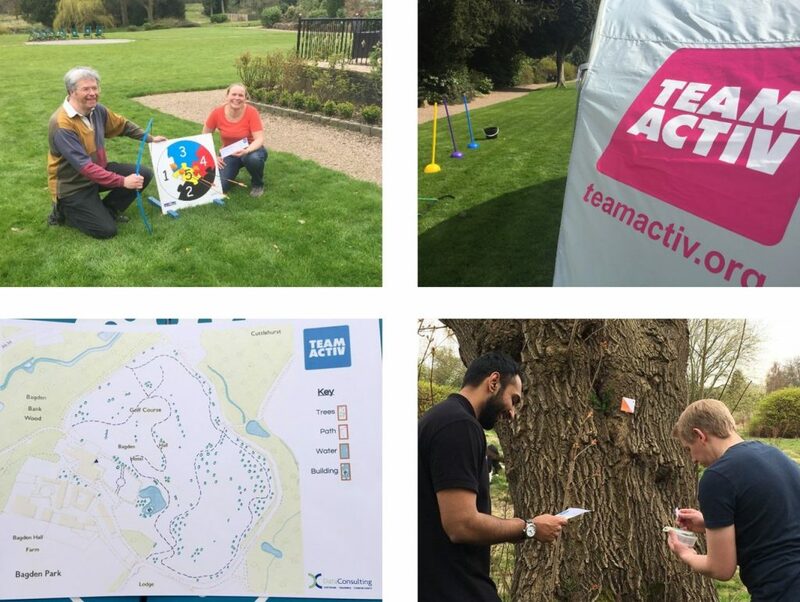 For this particular activity we decided to use the services of Team Activ, a company which specialises in organising team events for schools and businesses. Team Activ created a brilliant orienteering challenge whereby pairs had to complete a number of tasks from archery to jenga, in order to secure maps and find a number of riddles around the 40 acre plot of land. Whichever pair correctly found and solved the most number of riddles were crowned champions. The pairs were: Robin & Greg, Sarah & Ian, Manjit & David, Bes & Sam, and finally myself & Alex. Luckily, for once, the weather was very much on our side. It didn’t rain at all and thankfully it wasn’t too warm as I think we all got a bit heated running around trying to find the riddles stashed in small boxes around the estate. We had scheduled for a drinks break but everyone got so involved in the competition that the time soon came and went. After a few hours of hard fought competition the winners controversially were Bes and Sam. Myself and Alex felt a little aggrieved as we seemingly answered an additional riddle correctly, however given Alex’s questionable tactics in hiding one the riddle boxes I suppose it was a just result in the end. We would recommend Team Activ very highly, they were very organised and thought of some really fun games which encouraged team work and definitely helped bring us all even closer together. It also helped integrate Greg, our newest recruit, further into the team. What gets broken before it’s used? What can travel the world but stay in one corner? What can turn everything around but doesn’t move? What has roads without cars, rivers without water and forests without trees?